Depending on which publication you believe in most, Joey Gallo might or might not be the Texas Rangers' top prospect anymore, with outfield prospect Nomar Mazara creeping up to the top spot on a few different lists. But either way, we all know Gallo is a special prospect because of one very valuable tool he possesses — power, and lots of it. But one thing isn't up for negotiation, and that's the fact that Gallo is the top third baseman prospect in all of baseball. It's because he's very good and he also got some help with guys like Kris Bryant and Miguel Sano finding permanent spots in big-league starting lineups last year with the Cubs and Twins, respectively. 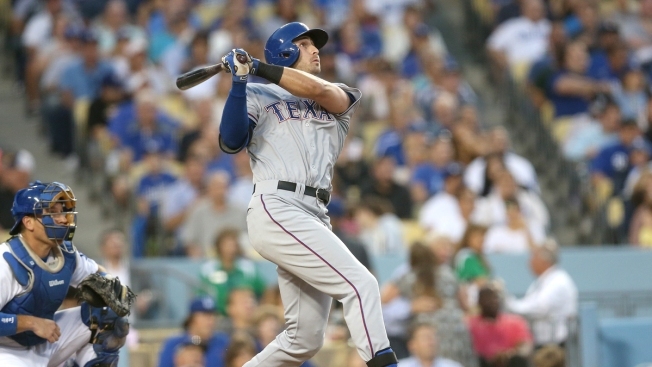 Gallo flashed his prodigious power on the big-league level last year, jacking two homers in his big-league debut and hitting six in a brief stint when Adrian Beltre was injured. But he also struggled horribly adjusting to major-league pitching and saw the strikeouts pile up in a big way. He also struggled in Triple-A after his MLB stint, hitting just .195 in 53 games with Round Rock, though some of that could possibly be chalked up to the mental beating he took with the Rangers due to his failures. With an offseason to recharge his psyche, Gallo could be in line for a big year at Triple-A, and if that happens, look for him to possibly make an appearance in Arlington again at some point this year.